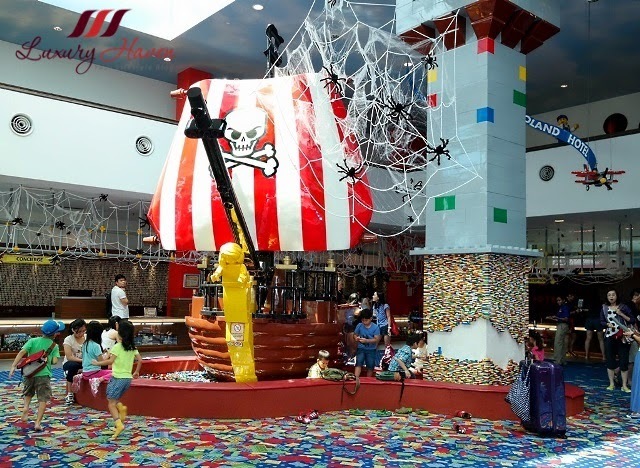 LEGOLAND® Hotel Malaysia Resort, Rooms Fit For A King! 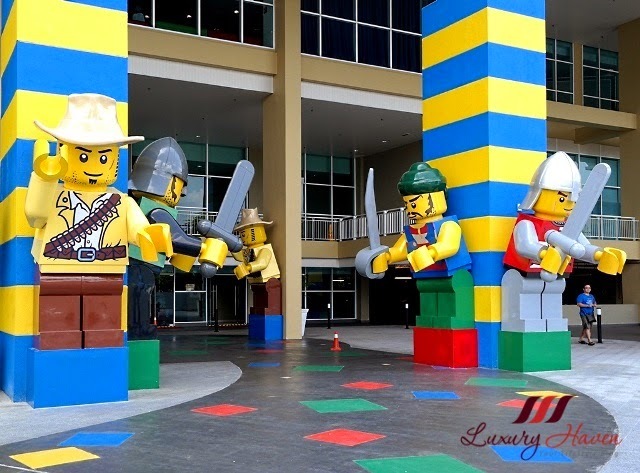 You are here:Home » Travel » LEGOLAND® Hotel Malaysia Resort, Rooms Fit For A King! This school holiday, delight your children with a family-focused resort with lots of play and exploration! Take them to a kid-friendly hotel and start your holiday adventure with some fun. 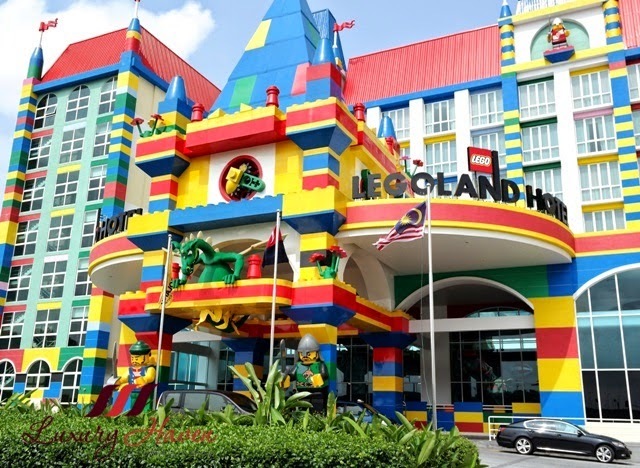 Located right at the main entrance of #LEGOLAND Park, a stay at Malaysia's LEGO themed hotel will be a night you'll never forget! 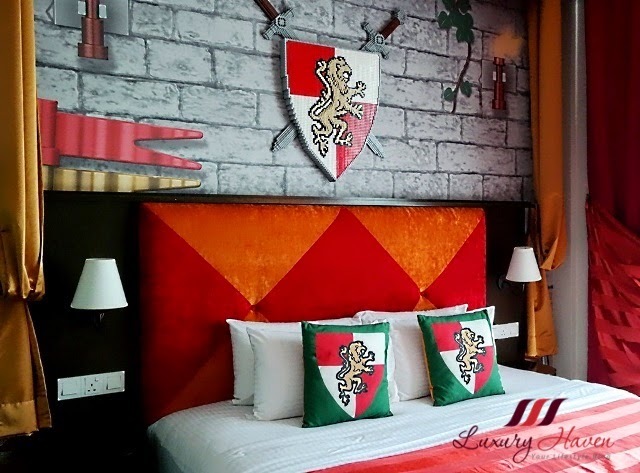 LEGOLAND® Hotel Malaysia is filled with adventurous bedrooms to make your stay a memorable one. 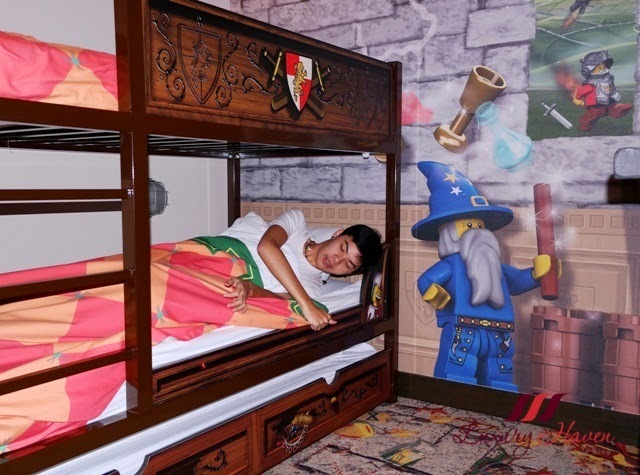 All 249 guest rooms are themed, so your family can choose from one of three popular LEGO lines - Pirate, Kingdoms or Adventure. 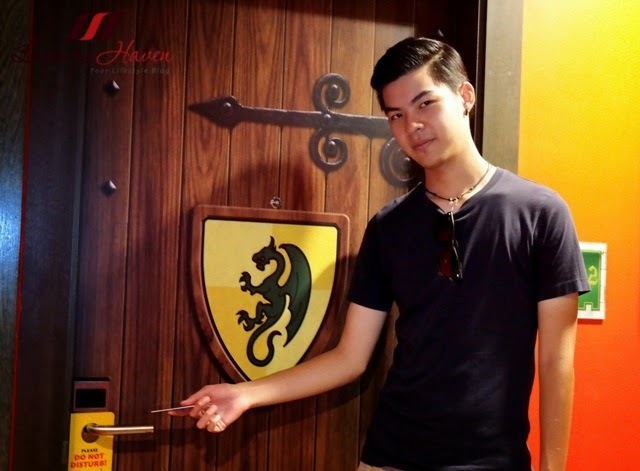 Thanks to LEGOLAND® Malaysia Resort, my family had an amazing stay at their Premium Kingdom Room in LEGOLAND® Hotel! Our voyage started right at the hotel's reception, flushed with LEGO features! Parents can feel at ease leaving their kids playing while they queue for their turn to check-in to the room. 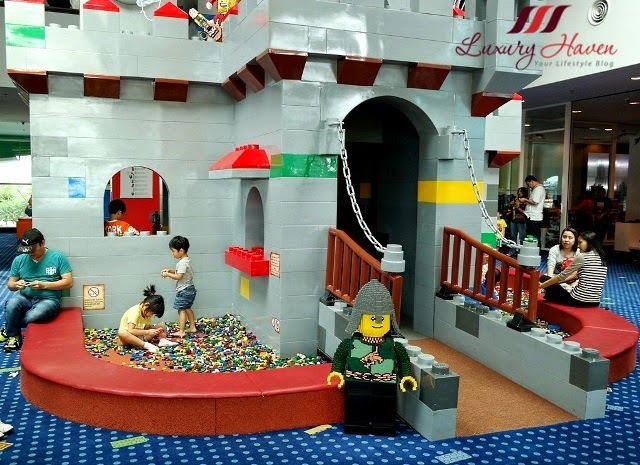 The spectacular lobby features a knight’s castle that towers into the sky, and the children’s play area is brimming with interactive LEGO games and activities with over 100,000 LEGO bricks! Even my teenage son got himself busy stacking up the LEGO bricks! The hotel elevators are just as cool! We love the one with the discotheque-theme best; it comes with disco music too! Well, Jonathan was real quick in exploring the room and found a treasure box! He loves challenges, and began scouring the room for clues. It was fun cracking open the secret treasure chest to reveal his fortune! Lol! Jon then found a box of LEGO bricks and started playing with it. I was surprised these kiddy stuff intrigued a teenage boy too. Well, look what he put up with those bricks! It definitely meant for younger kids, but he was enjoying it anyway. The bathroom is rather fanciful, with colourful LEGO features on the walls! There're two sinks altogether; one for adults and one for the kids. 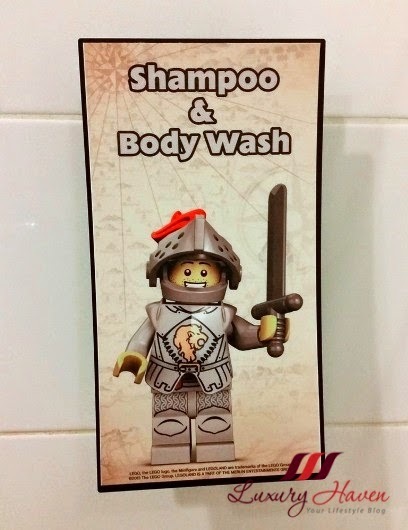 These endearing LEGO bathroom amenities are too cute!! I love the soap bar, don't you?? The Premium Room includes two separate sleeping areas; one with a king-size bed for grown-ups, and a separate area for up to three little ones complete with a bunk size bed, pull-out trundle bed and their very own TV! Jonathan was very happy with his bunk bed. He used to sleep in one of these when he was just a toddler. I think it brought back nice memories for him. With bunting, shields and flags above the bed, this LEGO® kingdom is certainly up to royal standards! I'm sure your little ones will happily settle into their cozy quarters after a day of park exploration. I was just as happy with my king-size bed! The cushions, LEGO features, and even the curtains add a majestic touch. Feeling royal in this kingdom room! Haha! Check out the writing desk and the LEGO ornaments on the walls! 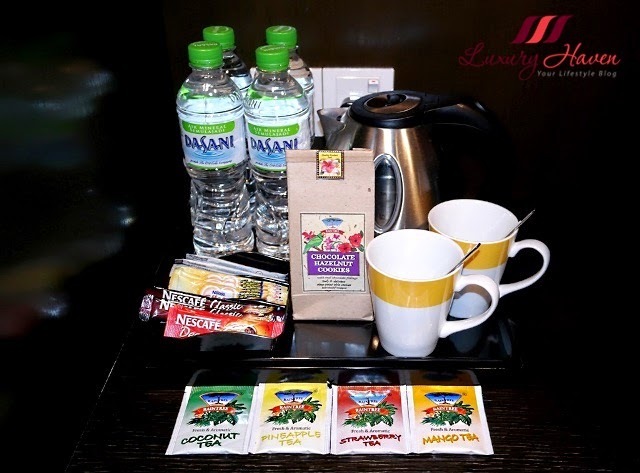 The complimentary in-room coffee/tea making facilities comes with a pack of Chocolate Hazelnut Cookies! I also found some interesting #Raintree teas with flavours like coconut, pineapple, strawberry and mango. Curious, we also went around other floors to explore and found the Adventure and Pirate Rooms. Can you guess which is which? 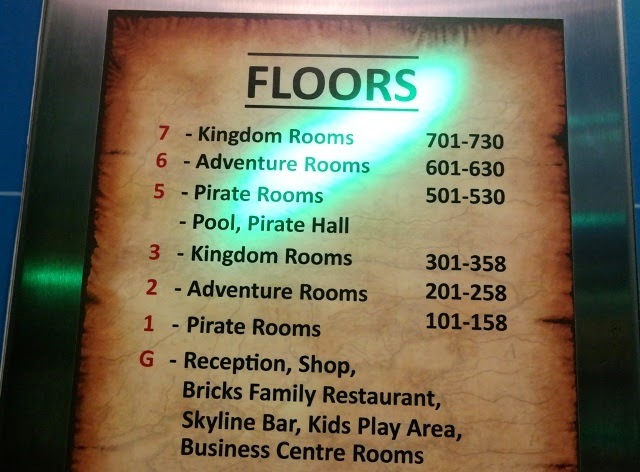 All 249 rooms are themed to give guests the choice of playing Pirate, commanding a Kingdom or embarking on an Adventure. 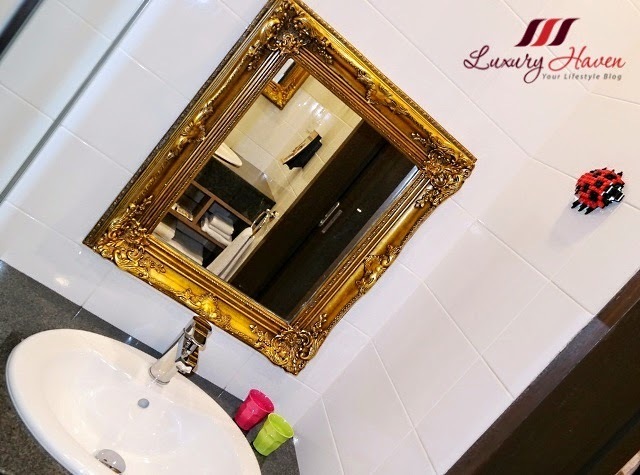 All rooms include a king-size bed for grown-ups, plus a separate semi-private sleeping area for up to three children, complete with a bunk bed, pull-out trundle bed and entertainment unit. 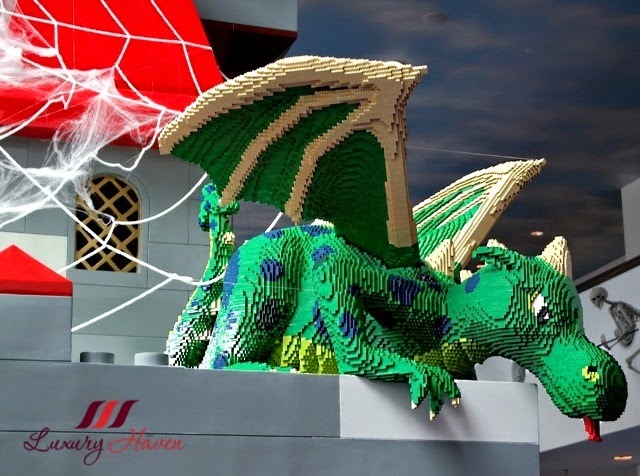 All Premium Themed rooms will include extra theming and LEGO models. 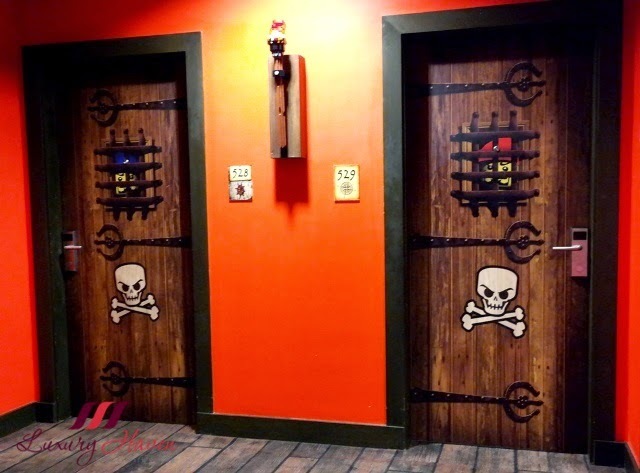 234 Themed Rooms and Fully Themed Rooms with 7 Pirate Deluxe rooms, 8 Kingdom Suites. Pirate - Step into your very own pirate cabin decked out with pirate bedding, curtains, wallpaper and even Polly, a LEGO parrot. Adventure - Embark on the ultimate adventure and hunt for hidden treasure amongst tarantulas, scorpions, lizards and other jungle animals. Kingdom - Enter a kingdom fit for a Prince or Princess. Bunting, shields and flags all meet the royal standards. 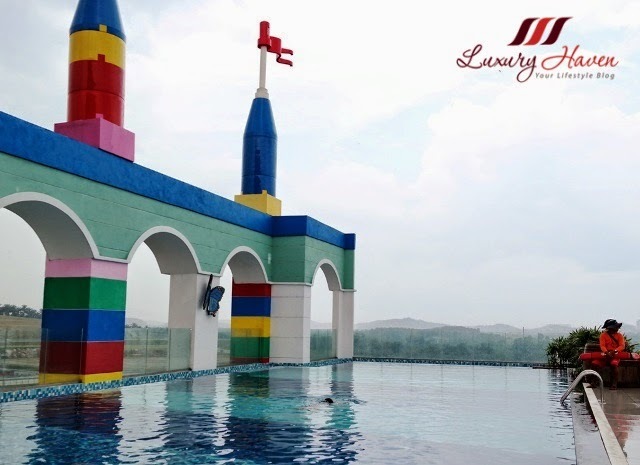 LEGO Themed Hotel Facilities include the swimming and wading salt water pools which can be enjoyed by the whole family. Totally love the view up there! 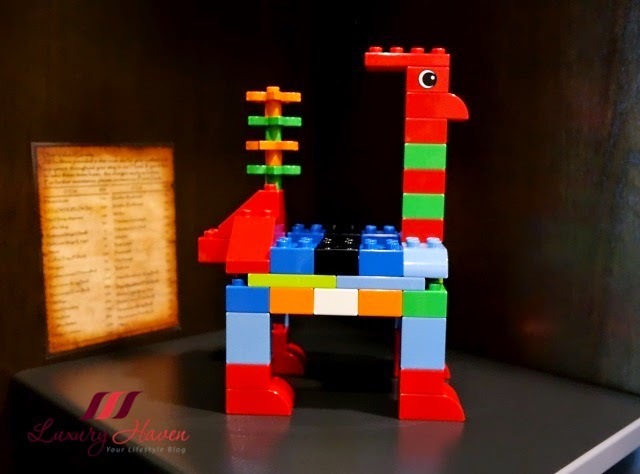 Some remarkable LEGO creations spotted at the all-day-dining Bricks Family Restaurant! Simple breakfast buffet at the Bricks Family. The flamboyant hotel is simply gorgeous! 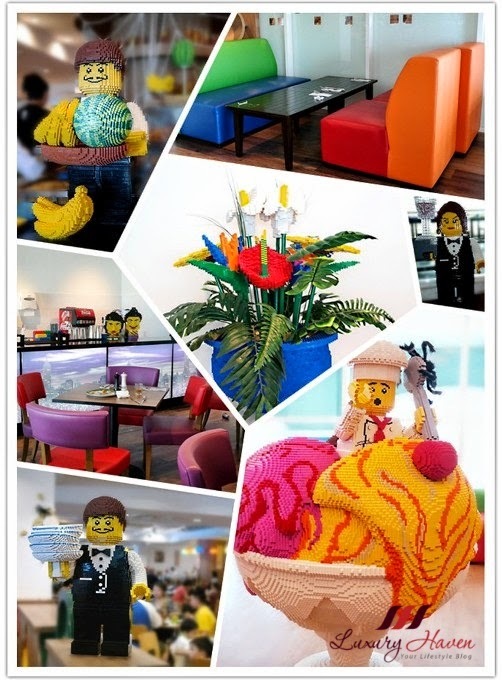 We were utterly impressed with the efforts Legoland made, in decorating both the facades and interior of the hotel. 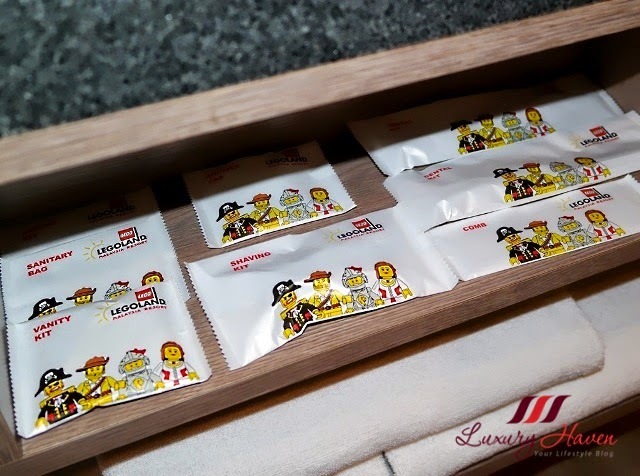 LEGO features are found throughout the hotel as well as in the themed rooms, play areas, restaurants and even the elevators. My family certainly enjoyed staying in the hotel than playing at the water and theme parks. I like the fact that the kids' room are separated from the parents for privacy, which translate to free space for them to romp around and play with their own toys. After all, they've their own personal TV in their room. 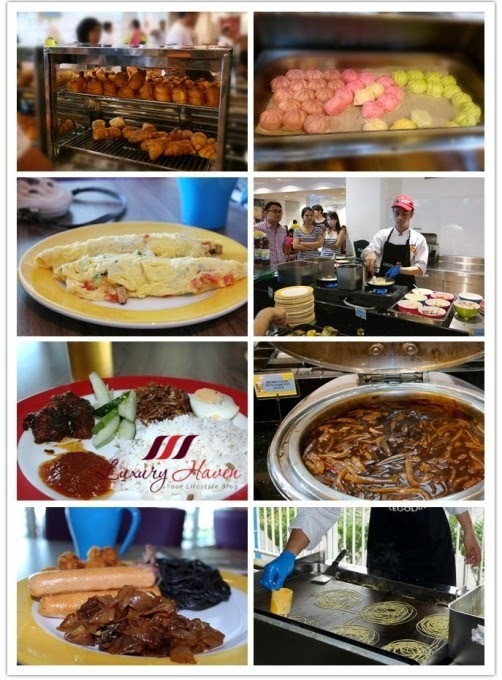 If you're visiting the LEGOLAND® Hotel Malaysia Resort, I highly recommend you to stay at least a night at their hotel. For families who want the ultimate Lego experience, these rooms are a guaranteed hit. 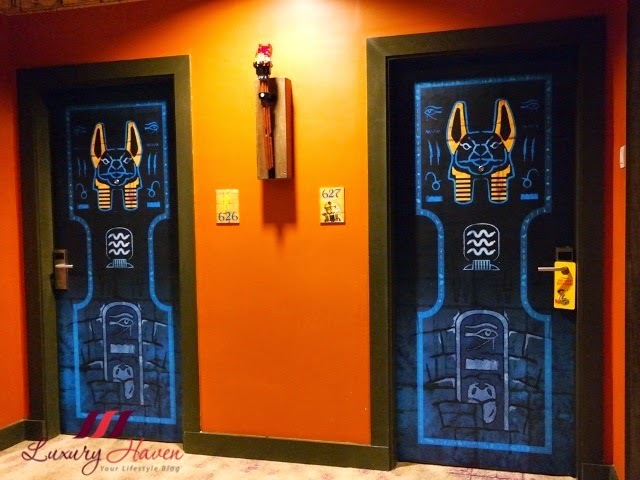 A royal welcome awaits you in the Kingdom themed rooms, fit for a king and his court! Make your kids special by rewarding them with a LEGO treat! 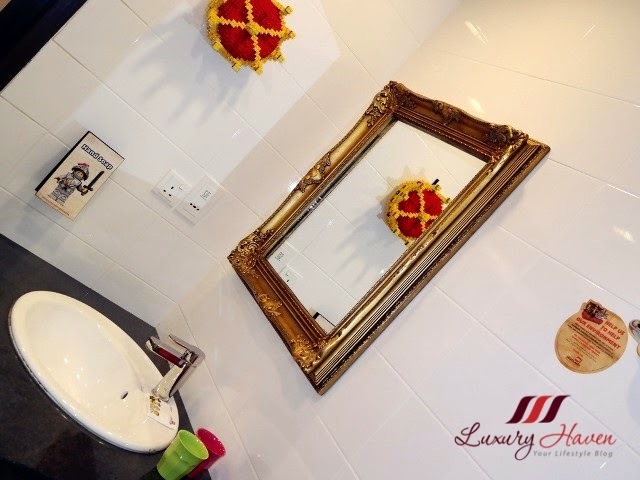 The place is perfect for a weekend getaway or staycation! 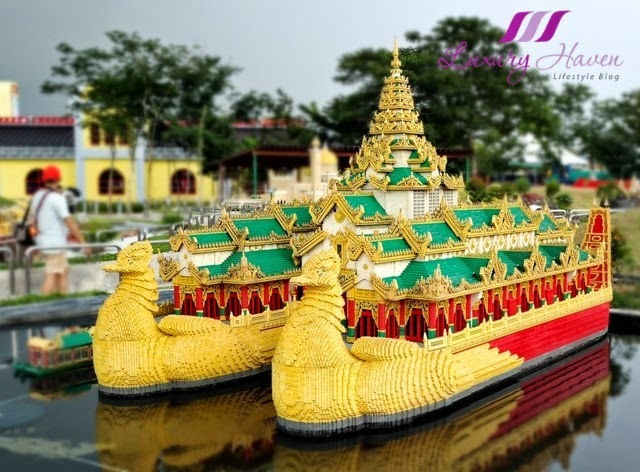 Where Is LEGOLAND® Malaysia Resort? Strategically located at the heart of the rapidly developing Iskandar region in Johor Bahru, the Park is accessible to both local and international visitors. The excellent transportation network enables visitors from Singapore to arrive within 10 mins from the Tuas Second Link by road and 45 mins from Changi Airport. When booking online, remember to add on the 2-Day Combo Ticket under the “Add Enhancements” tab. Only hotel guests benefit from this special offer. Add the combo ticket and get the second day for FREE + Early Access to the Theme Park (at 9.30am). 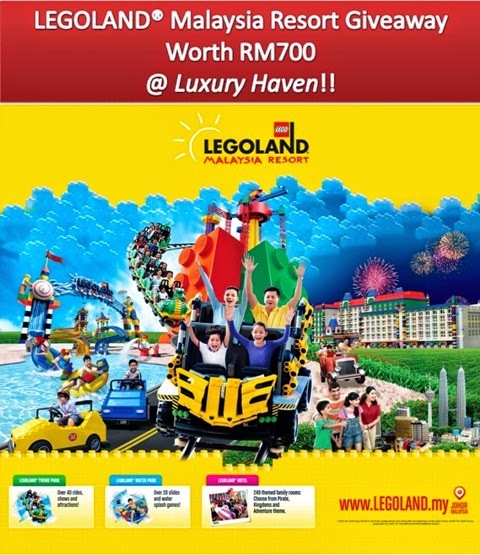 Submit your entries for awesome prizes at LEGOLAND Malaysia Resort Tickets Giveaway Worth RM 700! 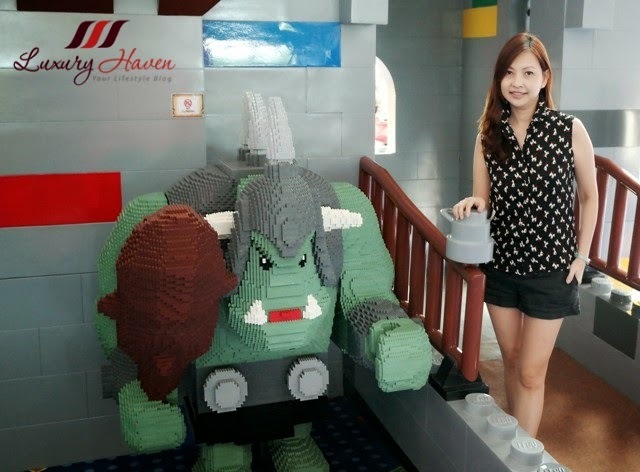 In the interim, read more about our LEGOLAND® Water and Theme Park adventure at LEGOLAND® Malaysia Resort Brings LEGO® Bricks To Life! and check out these remarkable LEGO constructions! Sera, my family had a great time! Junie, it's a wonderful place to take your kids there! Kat, hahaha! It's so nice to see you dropping your notes here as well. Love having you around! Linda, loads of fun! Hahaha! What a fun place to visit. Looks like heaven to kids!! Diana, I'm sure they won't wanna go home! Lol! Bisma, I think you'll like the hotel too! What a spectacular place, my daughter would love it!! Coco, I'm sure she'll have a great time there! I wanna join the Giveaway!!! I'm planning to take my son who is a Lego fan (just like his dad) soon. Lina, hahaha! 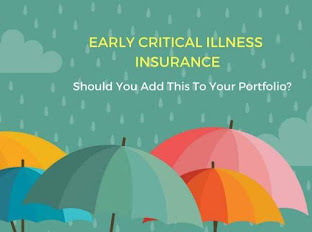 Be sure to look out for it! 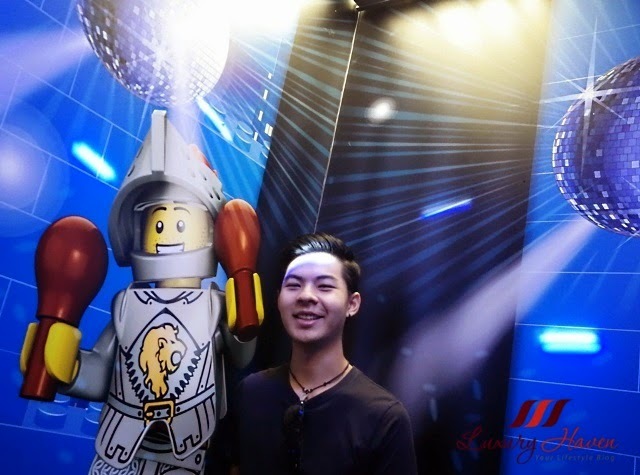 I so want to go to Legoland one day. A few of my friend stay at the hotel here in Germany and they had a great time. Amy, there's one in Germany too? Gosh, makes me wanna go back there again! Paola, glad you like it too! Wow! Definitely on my bucketlist! 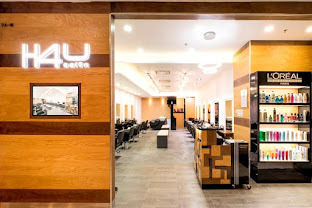 DS, you gotta check out the place if you're ever in JB! Lego one of the best toy created get anyone of any age creative juice going. Jackie, I couldn't agree more! Totally in love with the hotel! Triple loved for everything - so much of fun, entertainment, mental stimulation and wish I can have a getaway now. AMAZING!!!! IN ITALY DON'T EXIST!!! 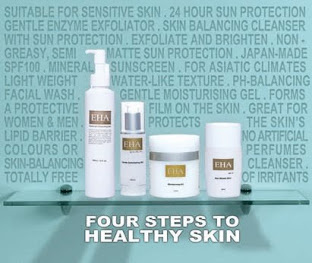 Elisa, what a pity! I'm sure you'll enjoy as much, dear! Miharu, I'm sure you'll have fun too! Gabrielle, absolutely! You got me real excited, dear! I'm gonna google on Efteling! Ines, thanks for coming by & certainly love having you around! 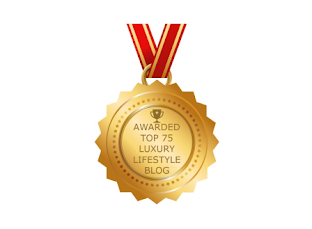 Most delighted to follow you back! Uru, bet you are & I'm sure you're gonna enjoy as much! OMG this was a great experience, I've always loved lego and this clastle seems unreal! 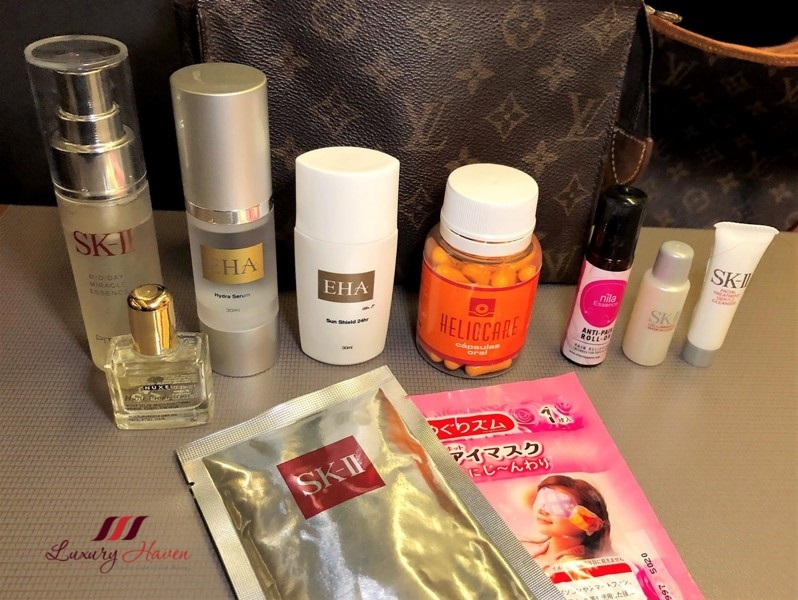 Marika, you'll have a wonderful time at the hotel & busy taking pix! Putri, thanks & have a good weekend! What a fun place! I've never been there before! It really seems interesting! Ken, I'm surprised! I thought you would've "conquered" that area. Lol! I've had so many friends visit and stay for a night there and I've yet to visit Legoland! Your family had an awesome room! I so freaked when I saw the interior! I don't know why I never thought about how their hotel would be designed, given it's all about LEGO! wow!! we'd love to visit if we are ever there, it looks amazing!! Can't imagine the time and number of lego piece it would have taken to built that place!! Michelle, it's amazing! Wish you've the chance to visit too! James, thanks so much for your sweet note! OMG this is just so cool! It's everything (and more) that I expected it would be. Loving the little treasure hunt set up in the room. Is there an age limit to that looool! 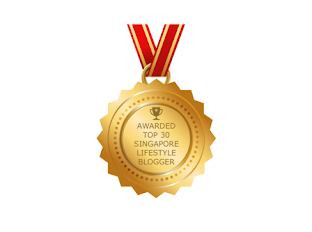 Sonia, I'm delighted that you're enjoying this post! You're too cute. Hahaha! I really want to go there! Amazing place! 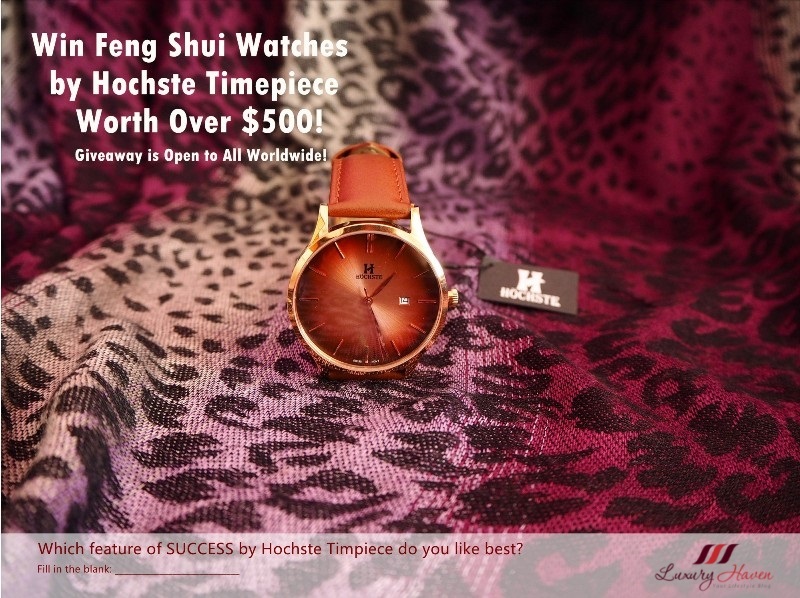 FY, I knew you'll love it as much! I've never been! it's so cool! Isabel, hope your dream can come true too! The hotel room looks amazing!!! Looks cool, kids will love it. Subha, bet they will! Hahaha! Aiyorrr....I had no idea the rooms would be this cool - now, I'm dying to go! Mun, I couldn't agree more. Even adults like my family are fascinated by the decor. Hahaha! 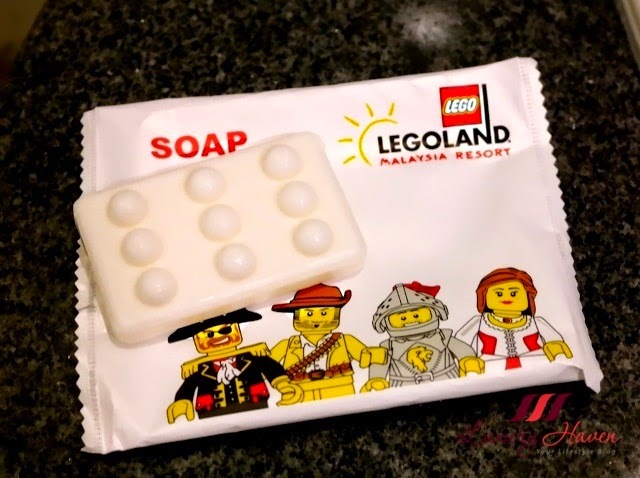 hi shirley..wow never thought that legoland hotel would be this cool...summore the soap also lego shape! power! thanks for sharing. I were just discussing with hubby on bringing kids to Legoland next year. Haha. Ok. Cant wait for the giveaway. 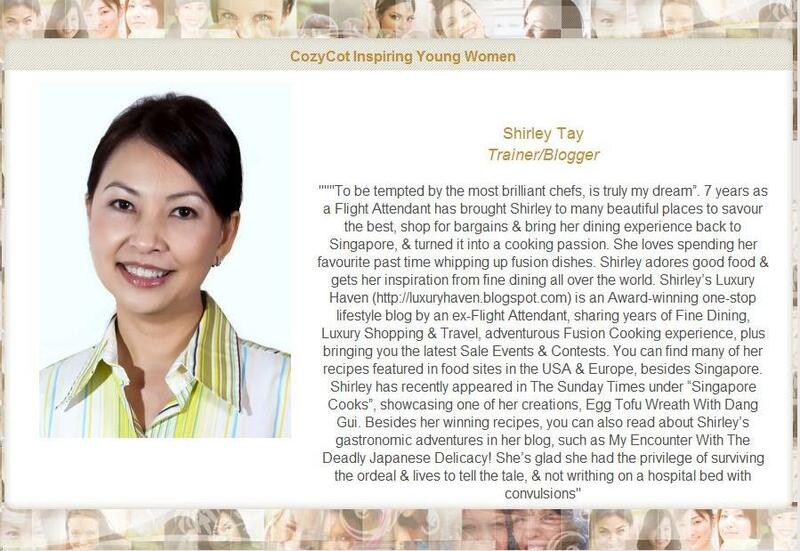 Your review makes me want to go over and stay there!! 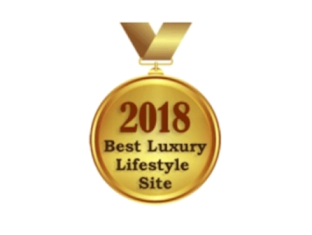 By the way, It's really cool and at same time, envy that you could stay at their hotel cause I saw their theme are quite fascinating and interesting. DD, I'm afraid we're just doing a giving for the theme/water parks at this moment but the giveaway has just ended. I've to admit the hotel is really cool!